Following recent dreams/visions of Mt Fuji in Japan, I had a meditation image this morning of a Heart Pool Temple (see below). I often see it with Earth floating above the pool, and it shows me the state of the planet. Today, a whale swam around the Earth, in a spiral way, and as it swam, all the waters of the planet, including in the bodies of all living beings, filled with white shining light, the Light of Ascension. Also, the face of Dr Emoto (who dedicated his earthly life to revealing the way consciousness affects and is ‘in’ water, and who passed out of physical a few days ago) was there…he smiled and gave his blessing, in a role of overseeing the Lighting of the waters. Mt Fuji appeared in front of me, with a golden key above it, pointing down into the crater at the top of the mountain. The Key over Mt Fuji is given to unlock the flow of Gaia’s inner ascension light, which will help anchor many light spheres currently being positioned around the planet by star family, along with the crystalline structures of water in us all and around Earth, to intake and hold more higher dimensional light. How I see it, is in the Inner Heart ‘realm’, and if you’d like to work with it in this way, just go into the inner heart-land (for starters, if you’e ‘heady’, see yourself walking down a staircase from your head into your heart, and open the tiny door there. When you walk through, there’s a stream (the Source Stream) with a bridge over it, that goes into your 5D+ creational space. On the near side of the stream is 4D landscape, which is ‘collective’. The Heart Pool Temple is in the 4D space. It’s a Mu (Lemurian) style healing crystalline light pool within a sacred space, and above it is suspended a light form of planet Earth; because you’re ‘in’ 4D, you can ‘see’ the whole 3D aspect of the planet at once. The truth of this has been borne out to me many times, when I’ve gone in and seen what energies are flowing around different parts of Earth, then read of flares, conflicts, group healings etc, and it all is exact reflection. When you walk, free of blockages, in the Inner Heart, everything in it is a perfect mirror, of group consciousness on the 4D ‘side’ and your own consciousness and that of close ones in the higher D spaces….. In the Heart Pool Temple, you can work with the Earth, and all who need healing, as a whole, and see the energies And you can zoom in to particular points, like Mt Fuji, within the sacred space of the Temple, which is within, you might say, the protecting Bow of Mother, and focus specific intents. This entry was posted in Ascension, Gaia, Uncategorized and tagged ascension, Bob Fickes, Dr Masuro Emoto, meditation, Mount Fuji by Joanna. Bookmark the permalink. EXCERPT : ” Following recent dreams/visions of Mt Fuji in Japan, I had a meditation image this morning of a Heart Pool Temple (see below). I often see it with Earth floating above the pool, and it shows me the state of the planet. Today, a whale swam around the Earth, in a spiral way, and as it swam, all the waters of the planet, including in the bodies of all living beings, filled with white shining light, the Light of Ascension. The links you posted are not working. But thank you for sharing your vision! Hi Cate, thank you and blessings! I just checked the links from the post, and they are working from ‘here’. If you’d like to read them, try copying and pasting into your browser. for some reason dear one, these links are not working. Starting on the New Moon next week, there will be a gathering of Lady Masters on Mt. Fuji. All of the great Lady Masters for this Solar System will be present to bring in the Magenta Ray of Love and Compassion. They will hold the energy of the Magenta Ray in deep meditation and unity for one week. This will bring great peace to Japan and to all of Asia. Japan and Asia play an important role in keeping the balance of Peace in the world. As Europe, Africa, the Middle East and the Americas go through the struggle of transformation, Asia and Japan will hold the energy of Peace, Love and Compassion. Sanat Kumara has called on all women to tune in beginning today to hold the energy for this event to take place. Each evening before you go to sleep, visualize your higher self in union with the Divine Feminine. Call upon your ancient memories of being a master during the time of Avalon and Lemuria. For the men, we are asked to also hold the space for this assembly to take place. The male energy is the foundation of Ku: Total Infinite Silence. This Infinite Silence is the threshold for all transformation on the planet. Without the foundation in Silence, the creative forces of Love and Compassion can be lost in the confusion of human drama. We as men are being called upon to release our aggressive need to control and let go into Silent Ku. Surrender all of your desires and give them over to the Universe to fulfill. Mt. Fuji is a perfect natural pyramid of Light. Remember the Rainbow Bridge that we helped to anchor a few months ago. Add your stars to the Rainbow and turn over your desires for the good of the world. Even a few minutes visualizing the world being blanketed in the Magenta Light will bring a great blessing to our world. Let’s call on the Lady Masters to assemble on Mt. 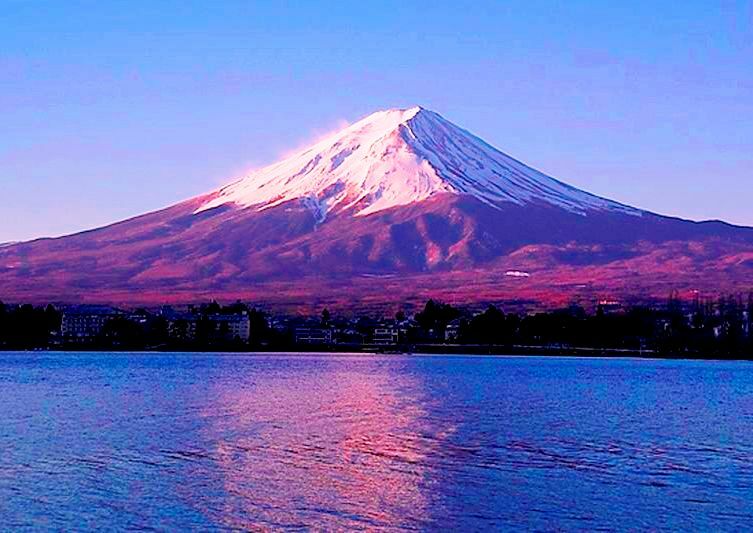 Fuji and welcome in a new era for humanity. Well now! Blessings and Greetings to all of you, my friends! It is I, the Merlin with a message to you about Avalon and the Magenta Flame! The Feminine Energy is coming on strong this month and centering its energies on Mt. Fuji. Even for those of you who can’t make it to the mountain, no worry! Your soul travels to the infinite while you sleep! Can you feel it? There is no time and there is no distance that your soul requires to be in this energy on Mt. Fuji. She is your mother after all! Where you are, She is with you. She loves all her children in Japan and loves you who are loving her most of all. She will help you through your most difficult times and lifts you into your future in the Light of the Magenta Flame. Wherever you are, She is with you even now while you are busy with your daily life. Feel the Magenta Flame inside your soul body, filling you with Compassion, Wisdom and Love. She warms your heart and soothes your soul. What ever you wish for will be. And when you wish for the good of Japan, She is with you even more. Avalon existed thousands of years ago. It was a time when every soul was in harmony with the Feminine Power of Nature. All life was at peace with one another, and magic was alive in each of your souls. The doors were open between the visible and invisible worlds and you were happy to see into the mystery of life. Call on your mysterious gifts and your magical powers. Set your intention to be a child of magic and spiritual truth. Ask that the light show you the invisible mystery of Nature. Do you know that every animal and every tree and flower is alive as an angel of Nature? They are smiling at you even now. You may see only the flower, but inside that flower is an angel smiling back at you. Every living being has a physical and a spiritual essence. Even you have a spiritual body of light that moves and breathes with love and joy! On October 30 the doors between the worlds will be completely open. They are already opening more every day. These two weeks prior to the 30th of October will bring the Magenta Flame into your soul so strongly that your inner vision will see beyond the veil of this physical world. Honor your Mother on Mt. Fuji and she will give this gift to all of her children. Even your family and friends will begin to understand the great transformation that is upon us. Welcome this New Awakening with all your heart and it shall be given to you and your loved ones. Remember, it is your intention that creates your reality. Change the way you think, and you will change the world you live in. Bless you my friends! I am Merlin the Master of Magic and the Guardian of the Door Between the Worlds.